The CPA 5000 is one of two ultra-high-performance models in the flagship Reference range, representing Chord’s finest preamp engineering. 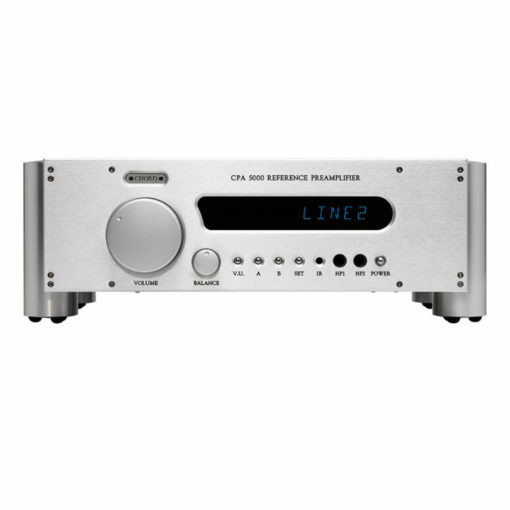 The CPA 5000 offers a substantially larger chassis than their Standard Series preamps and contains the latest proprietary ultra-high-frequency power supply. When combined with their ultra-low-noise circuitry, the technologies give the CPA 5000 an incredible noise floor performance of below -130dB.